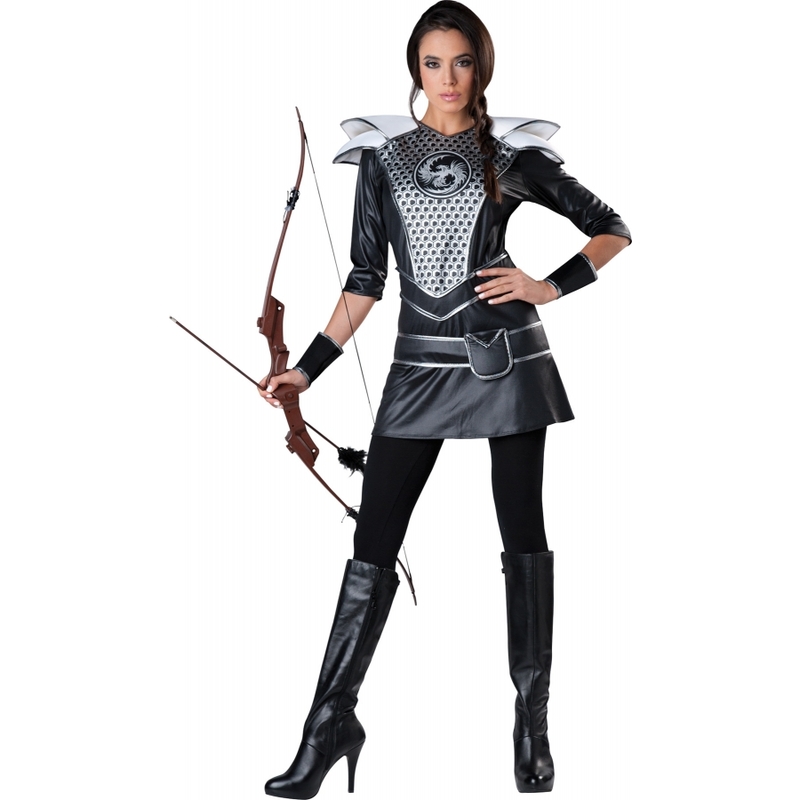 The perfect costume to wear when stalking your prey! Black dress with layered epaulettes and lame trim and front design, matching belt with satchel and cuffs. Leggings, boots and toy bow and arrow not included. Adult female medium size fits bust size 35-36.5", waist 29-31.5", and hips 37.5-39". Fits adult size 8-10.